CASWELL FIRESAFE® Fire Resisting Ductwork ready to go to a ductwork installer under our T1 Ductwork DIRECT service. In this case, a system based on 500mm spiral-wound ducting with our saddled, red-framed and CF® branded Access Doors. 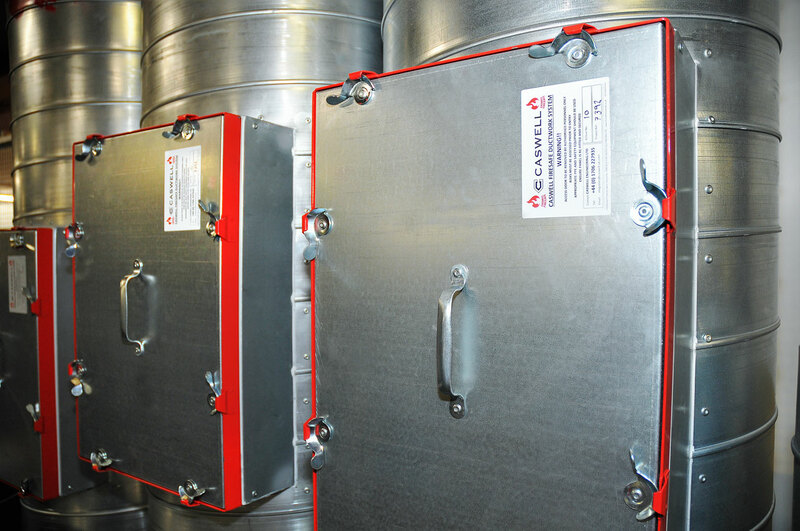 CASWELL FIRESAFE® systems have been successfully tested to both BS476:Part24 and EN1366:Parts1&8 and product is available to either, within the scope of each Standard. All installations are rigorously inspected before a Certificate of Conformity is issued. 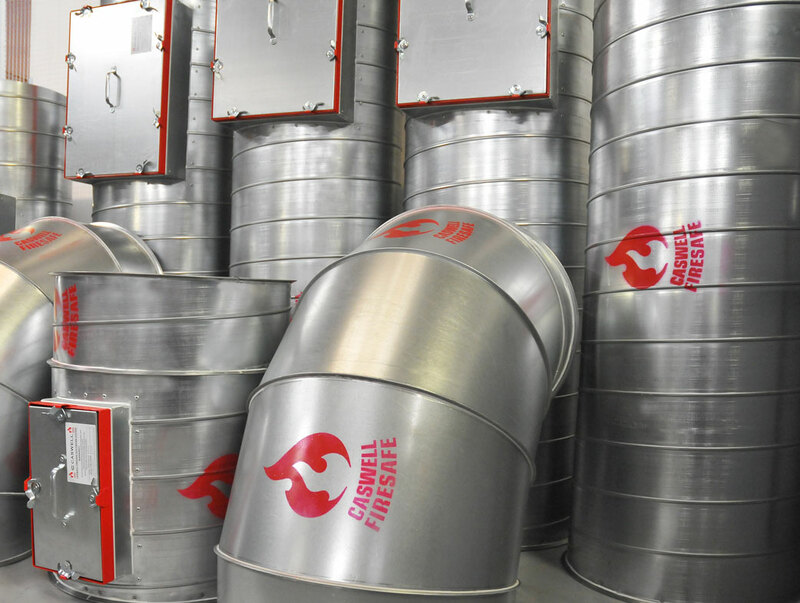 This is not a special arrangement though, we provide this on ALL applications of CASWELL FIRESAFE® ductwork. That’s ‘Peace of Mind’, right there.